The choice for most all out competition vehicles, RAM billet aluminum flywheels are CNC machined from certified materials and exceed SFI standards. A key feature of a RAM aluminum flywheel is the ¼ inch steel friction insert*. A well tuned competition clutch system has a predetermined amount of slippage at launch and on the gear changes. The flywheel insert must have enough mass to absorb the heat generated by slippage without distortion; ensuring maximum clutch life and consistent performance. Thinner inserts can warp and lift causing uneven engagement across the clutch disc. The thicker insert remains flatter and dissipates the heat better. 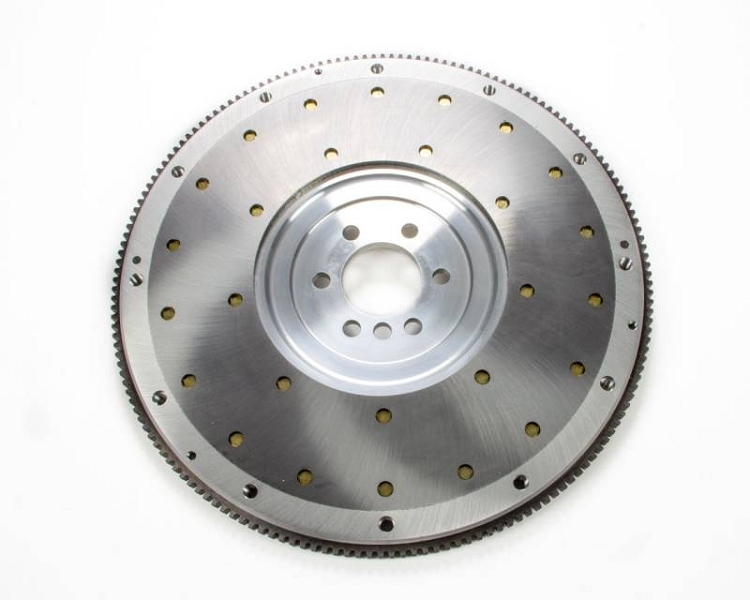 Each flywheel is precision ground after the steel insert is installed to ensure the friction surface is parallel with the crankshaft flange for minimum runout and to provide the optimum mating surface for your choice of clutch disc.